If you hadn’t noticed (I mean, really? ), the amount of new openings in Brisbane have skyrocketed this year! Brisbane 2017 has been like reading a who’s who of the Australian dining scene, and that’ not even mentioning the new cafés, bars, spas, and all other manner of goodness that has fed, quenched, pampered and blown up your social feed during the first half of this year. To help you keep track of it all we have compiled a list of the top new openings in Brisbane since the new year. Move over Melbourne. Step aside Sydney. Here are our favourite new Brisbane openings of 2017 so far. We strongly recommend you drop everything and check them out. Get to it! This cute café describes itself as the neighbourhood hang in Spring Hill—and we couldn’t agree more! Lonely Boy is home to a myriad of tasty homemade treats and well as awesome coffee when in need of a pick-me-up. Drop by to indulge in a sweet treat with a quality brew and enjoy the newest addition to Brisbane’s gratefully ever growing café scene. Greenhaus Coffee recently opened in Teneriffe just a few doors down from sister foodie hot-spot Botanica—like a game of Monopoly, only tastier! Sporting a chic minimalist vibe with splashes of (millennial) pink this cute little vegetarian café is serving up the perfect combination of convenient and delicious food paired with perfectly brewed coffee, including their breakfast parfait cups and adorable mini brioche toasties to take away. Brand new poké restaurant Suki is serving up the goods! Providing us Brisbanites with a much needed spin on Japanese cuisine with their sushi burritos and poke bowl craze. That’s right, the content of sushi in the convenient packaging of a burrito or bowl, who could ask for more? Paul McGivern has done it again with gorgeous South Brisbane wine bar, La Lune Wine Co. La Lune ticks all the boxes of an ideal wine bar; stylish, social, low-lit (ambience by the bucket load essentially) and, of course, an impressive list of international wines. Enjoy a full menu of European-style cuisine plus some rather decadent cheese platters, each paired with the perfect wine. From the same minds as iconic Brisbane bar, Canvas has come the Woolloongabba gem that is Electric Avenue. Not just your average bar and bistro—we’d expect nothing less—, Electric Avenue is stylishly garbed with an eclectic, antique vibe reminiscent of Woolloongabba’s antique market history, and compliments this with a unique menu full of favourites, with a twist. This attention to detail combined with their ‘secret’ whiskey bar, Jack Rabbits, makes Electric Avenue a worthwhile spot to check out. Moving on from their food truck ways, and taking flavour and alliteration to the max, Big Roddy’s Rippin Rib Shack has answered our prayers setting up a permanent rib restaurant and bar! Setting up shop earlier this year in South Brisbane, Big Roddy’s has had lines out the door for a taste of their rippin’ ribs. Make sure you try their home brewed beer while you’re there! Named after a popular tea brand that once thrived in the old tobacco and tea bar that King Tea now calls home, this gorgeous Paddington tapas bar is definitely worth a stop in. King Tea serves up traditional, authentic Spanish tapas: from grilled octopus and crispy pork belly (yuuuuum), to heavenly patatas bravas accompanied by an inviting drinks menu with an array of choice Spanish drops. Drop by from 4pm–6pm on a Friday and enjoy free tapas with knock-offs. Banoi is a new and very much needed Vietnamese restaurant in Bowen Hills. Good, authentic Vietnamese food can be frustratingly hard to come by in Brisbane, but with three generations of experience under their belt (and a loyal following in Melbourne) Banoi are killing it. Pop in for a steaming bowl of phò, a fresh vermicelli salad, the lunchtime classic báhn mì, or any of the other delicious dishes they have to offer. Championing Australian wine and boasting a constantly evolving menu, Mr Chester Wine Bar in Fortitude Valley is everything a modern wine bar should be. Showcasing the best of ‘New World’, boutique wines, these rare drops are beautifully paired with a seasonal menu consisting of fresh, local ingredients. Mr Chester has hit the nail on the head as far as wine bars go: tuck into a top shelf dinner with friends or just a quality Australian drop after work. Okay, so while we could always take a drive up (or down) the coast for a taste of Betty’s Burgers’ bodacious buns, we were overjoyed when they announced their newest location at Westfield Chermside’s new multi-million dollar food precinct. 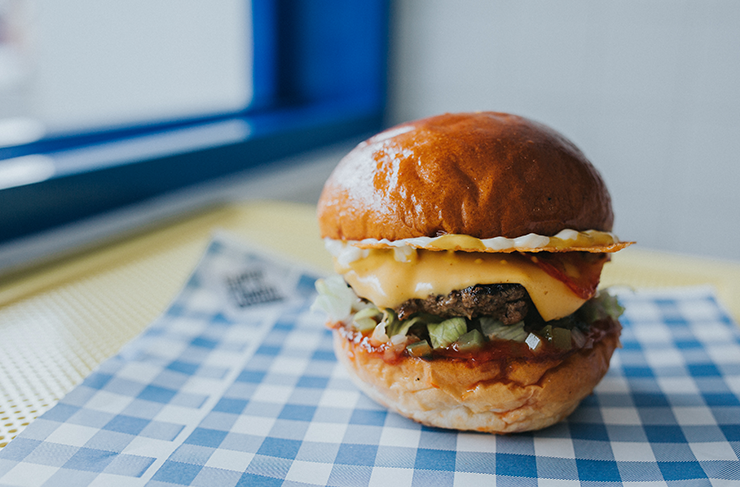 With Betty’s classic cheesey now never more than a 20-minute drive from home, life is complete. New Greek restaurant, The Lamb Shop has perfected their take on traditional Souvlaki and has brought it to Bowen Hills. Inspired by the flavours of the Greek isles, The Lamb Shop has a wide range of mouth-watering Greek favourites that are fantastic to share (or not—we won’t judge! ), so gather some mates and head down. PS. They do more than just lamb: their Mooloolaba king prawns and charcoal chicken are to die for! Anyone who remembers growing up with iconic arcade game, Street Fighter will want in on new Brisbane burger joint Super Combo. Cranking out killer burgers in Bowen Hills, all of their burgs are based on the characters and countries from the game. Gimmicky, maybe, but holy hell are they some fine burgers! Super Combo burgers. Are you ready to play? Junk Boat is the new Asian street food in South Brisbane spot serving up healthy, fuss-free food with locally sourced ingredients. Their menu is a mix of Thai, Japanese, Cantonese, and Korean favourites all with an Australian spin, resulting in seriously good and unique food perfect for sharing among friends. The word petrichor describes that pleasant smell that accompanies the first rain in a dry stretch, and Petrichor Day Spa has embodied this atmosphere perfectly. This new Hawthorne spa offers a range of holistic treatments worth checking out, providing you with a relaxing and organic getaway to soothe away the stressful work week. 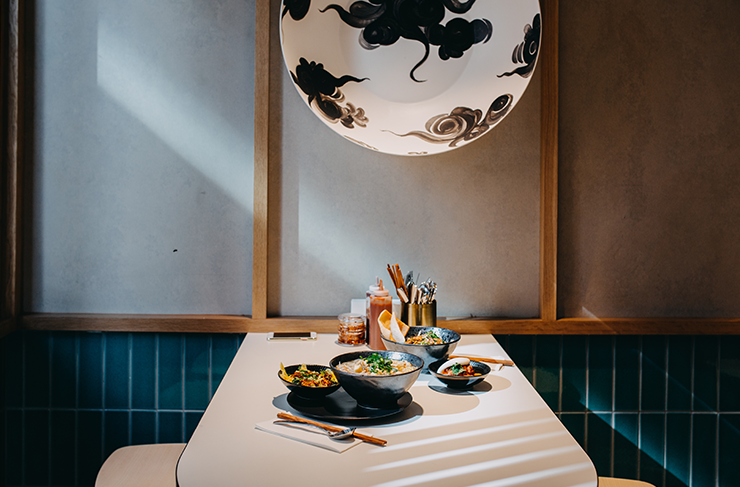 A South-East Asian influenced menu, the latest venture from the Venzin Group, Pawpaw Asian Kitchen is the most flavourful new restaurant lighting up Tingalpa. Focusing on a mix of Vietnamese, Indonesian, Thai and Malaysian cuisine, stop by for lunch or dinner—trust us, it’s worth the drive! If you are keen for a unique dining experience then Detour is for you! The brand new Woollongabba restaurant opened by former public head chef Damon Amos has ventured into the weird and wonderful, garnishing food with edible ants and tobacco and featuring fossilised veg—oh, and it’s almost all vegetarian! Head over for lunch or dinner to taste and experience their new and incredible dishes, we promise that you carnivores will be more than satisfied. Hidden behind a giant orange door on Ann St is the newest dimly lit, atmospheric AF bar on the block, Savile Row. The décor is reminiscent of its London namesake; donned in rich mahogany and brown leather. This new Valley treasure is perfect for late night drinks, being open until 3am, 7 nights a week! Alright, obviously Eat Street—though consistently amazing—is nothing technically new, but their mammoth redevelopment and location change is! 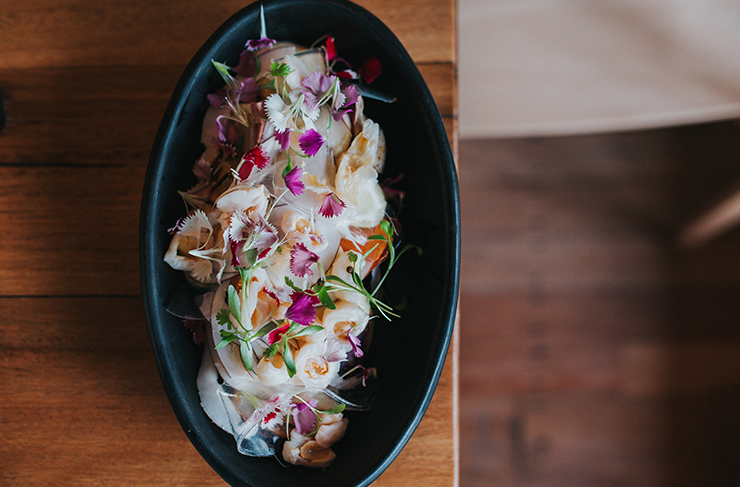 Enter, Eat Street Northshore: a one of a kind foodie experience exclusively for us Brisbanites. With more entertainment, better views, a permanent area set up with some of the best small bars in Brisbane, and, most importantly, a whole heap more deliciously decadent food spots, Eat Street is bigger and better than ever. If you haven’t checked out the new and improved Eat Street yet what have you been doing with your life?! Another southern icon, coming all the way from Sydney, this year has also given us the Italian gem that is Fratelli Famous. The pizza arm of this iconic Sydney restaurant, Fratelli Famous is cranking out their incredible wood-fired pizzas over on Eagle St Pier. Okay, okay, while this gorgeous French-inspired restaurant technically opened its doors late last year, they deserve an honourable mention. Already carving a space on the Brisbane food scene with their beautiful breakfasts and long lunches, Greenglass have officially started doing dinner on the regs. Tuck in to incredible French fare for dinner Thursday through Saturday, paired with some of the best small batch Aussie wines in the business. Not too shabby if you ask us. To keep up to date with all the happenings in this crazy city of ours, check out The Directory.